Stand by Me is involved with three schools in Burma catering for almost 1,000 students, ranging in age from 4 – 17. 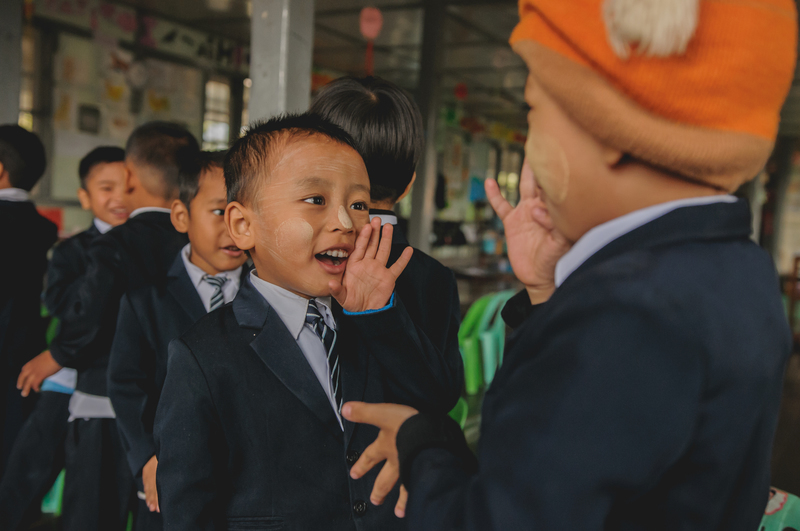 The schools are seeking, within the restrictions of the Burmese curriculum, to move towards more child-centred teaching approaches. A few teacher training and resource development visits have already taken place but there is a continuing need for more teachers to share their expertise and help the children enjoy an ever better educational experience. The Stand by Me teachers are seeking training in pre-school education, foundation, key stage 1 and key stage 2. There is also a demand for teachers of English, Maths, Science, Geography, History and RE at secondary level to assist with the development of the material to be taught, as well as appropriate subject based teaching skills training. We have found that the best training approach is to model lessons, either teaching a real class or through role play where the teachers take the role of students, and explain to the teachers the principles and reasons behind the approaches taken. We are planning a training visit to take place in late October/November when it is very pleasant, like a good summer’s day here, and would suit those teachers who have retired, are on a career break or are prepared to approach their employers regarding leave of absence (we would hope the visit can be arranged to coincide with the half term break but some more time would be required). Total costs (flights, accommodation, food and visas, excluding insurance) would be in the region of £1,750 depending on the costs of flights and internal transport arrangements.